I first learned about cocadas from The Kitchen on Food Network, where Marcela shared her recipe for easy coconut bark. It had two of my favorite ingredients, coconut and sweetened condensed milk, so I had to try it right away. 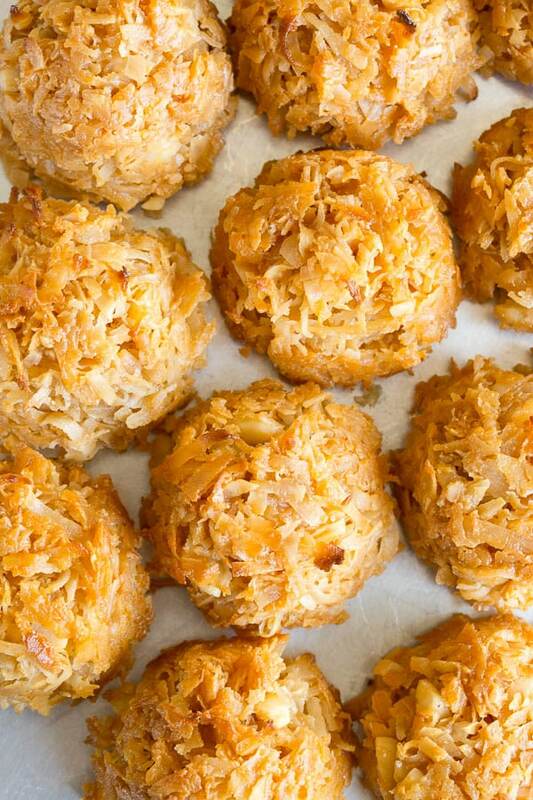 Later, I put my spin on this classic coconut treat and didn’t look back. 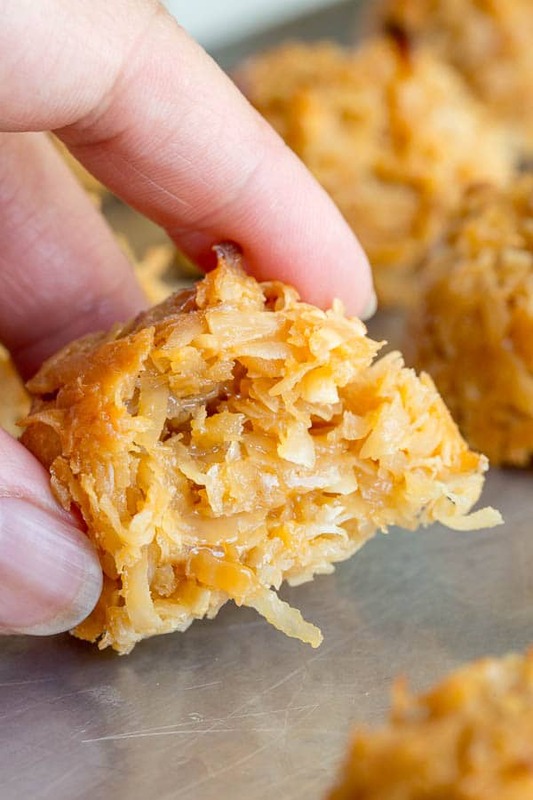 These irresistibly chewy and sweet coconut candies are ADDICTING! My mother-in-law told me not to make this again, because she can’t stop eating them. I think she meant the opposite. 🙂 There is really nothing not to love about it, unless you don’t like coconuts, of course. Buttery soft macadamia nuts add another layer of richness and texture! And as you’ve probably watched the video above, it couldn’t get easier, right? There is really no excuse not to make them. Alright, no pressure here, but I promise you’ll love these cocadas! If you’re planning Cinco de Mayo party, you must include these cocadas on your dessert menu. (Again, no pressure!) Just saying, these are a huge crowd-pleaser. Plus, you can even make them in advance! Preheat the oven to 350°F (177°C). Lightly spray mini muffin pan with cooking spray. 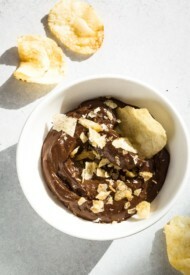 In a large bowl, mix together coconut flakes, dulce de leche and macadamia nuts until well combined. 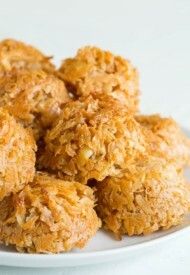 Divide the coconut mixture into 24 mini cups packing them down tightly. Bake for 15-18 minutes, or until the edges are nicely browned. Store the cooled cocadas in an airtight container, at room temperature, for up to 3 days. Inspired by Marcela’s Easy Coconut Bark. This recipe was originally published on April 30th, 2014. I made these for my Spanish project and it turned out amazing, thanks! Yay, so glad you loved it. Thanks, Lucy! What heat for sweet evaporated milk and 12 hours? They all stuck. I threw them all out. It was hard to clean the pans. What a waste of good ingredients. Nancy, I’m sorry to hear you had to throw out your cocadas. Hope you didn’t forget to spraying cooking spray before putting the coconut mixture. Otherwise, it’ll definitely stick to the pan. Aww, you’re welcome, Veronica. I’m so glad you tried it. Thank you for your feedback. I can tell this is flakey, sweet and addicting!! So addicting. 🙂 Thanks, Alyssa! These look wonderful, what a great treat! These are so fun and actually look pretty simple! YAY! They’re so simple to make! Thanks for stopping by! I want to make these for a cinco de mayo party but my son has a nut allergy. Any thoughts on how to adjust the recipe without the macadamia nuts or would it just not turn out good? I have to try these! Thanks for linking up with What’s Cookin’ Wednesday! Looks & sounds yummy. Thanks for joining the Inspiration Spotlight party. Hi, Dan! Thanks for your feedback. I’ve tested and re-tested the recipe a few times, and the amounts, specified in the recipe, do work for me. It might seem like a lot of coconut, but after thorough mix, the mixture does come together. As for baking time, everyone’s oven is different. Therefore, you will need to bake them for as long as you need to get the edges golden brown. 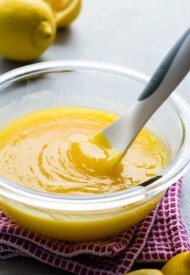 How do you make dulche de leche? These look absolutely delicious! Where do you find dulce de leche or how does one make it? Will definitely be making these. Hi, Carla! You can buy ready dulce de leche at the grocery store. Honestly though, I never bought one myself. I usually just make it myself, since it’s super easy and cheaper. I mixed 2 bags of sweetened coconut, a can of (sweetened condensed milk cooked for nearly 12 hours to make) dulce de leche and mineral rich ancient salt. I formed half spheres with a small scoop, placed them in the upper third of a 400 degree oven and then turned it down to 375 until they started browning at the edges. Everyone loved them so I’ll have to add them to my collections of tasty treats. Hi Liza, I have never used captcha plugin myself, but this might be what you’re looking for: http://wordpress.org/plugins/captcha/. Good Luck! Oh my goodness these look lovely! I adore Mexican/Spanish-inspired desserts, and these seem like no exception. Almost remind me of macaroons. Thank you! 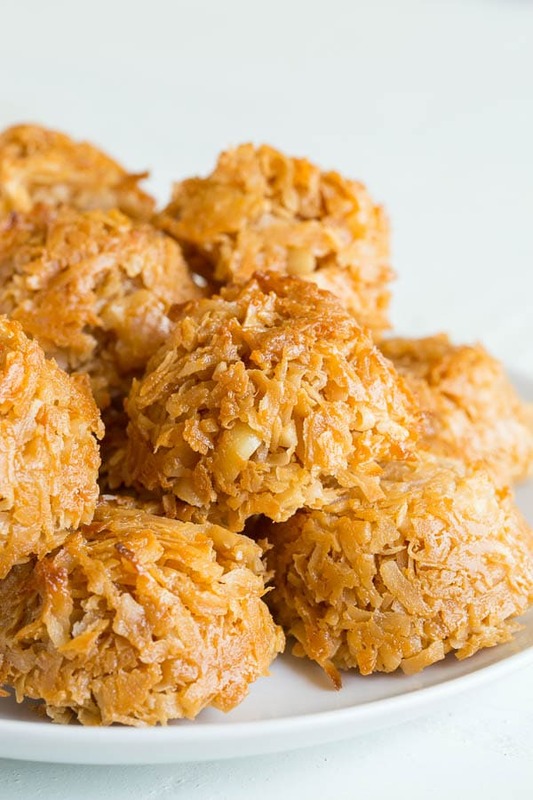 Yes, they’re pretty similar to coconut macaroons and they are absolutely delicious treats!